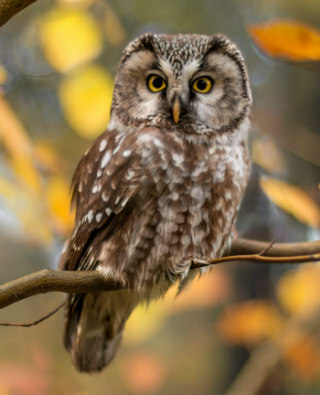 Habitat: Coniferous or mixed forests, forest edges, dense stands of aspen trees. Diet: Mainly small mammals such as voles, mice, shrews, and lemmings. Also insects and occasionally small birds. 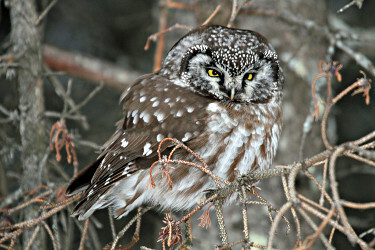 The Boreal Owl is a rare winter visitor to some areas of northern New England.